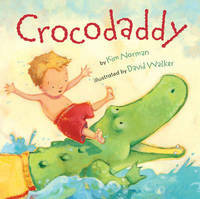 Celebrate the imagination - and the love between father and son - with a fun, rhyming and totally original picture book. On a hot summer's day, a young boy playfully sets out on a 'crocodaddy hunt' in the lake. Following the creature's shadow, dark and wet, he's soon taking a wild ride on the grinning croc's back. 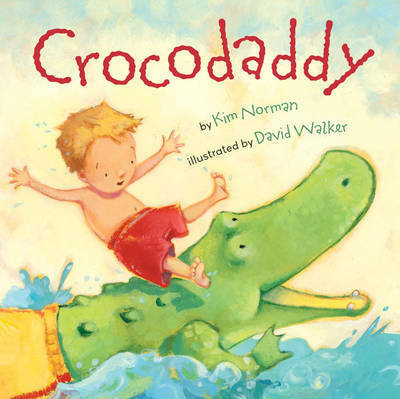 And when they leave the water, something wonderful happens: Crocodaddy transforms into...just Daddy. Bright, energetic illustrations (complete with wily crocodile in Dad's swim trunks) highlight the story's humor and warmth. Kim Norman has over 25 years' experience as a singer, dancer, storyteller and comedic actress. She spends several weeks each summer teaching children how to develop their dramatic skills and has also written poems and other picture books. David Walker worked for Hallmark Cards as an art director. He now does freelance illustration and has illustrated many books.